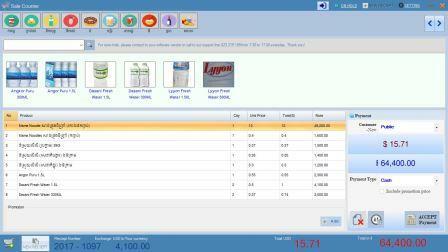 An easily customized software for your coffee shop, mart, or business. 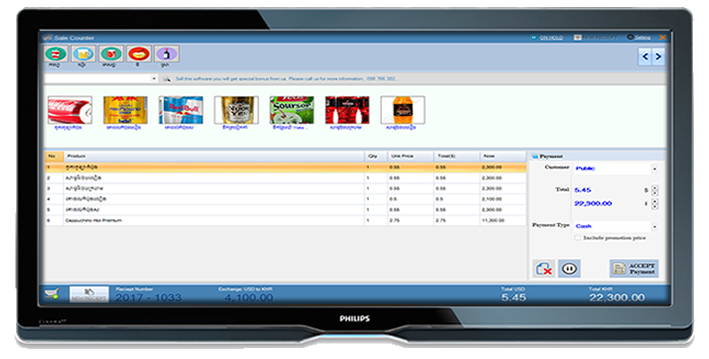 SBSS has built-in the flexible sale layout, in-line or full screen to allow you to handle different types of sales. It is very easy to do! SBSS is a friendly Windows Application that help you simplify your sale. 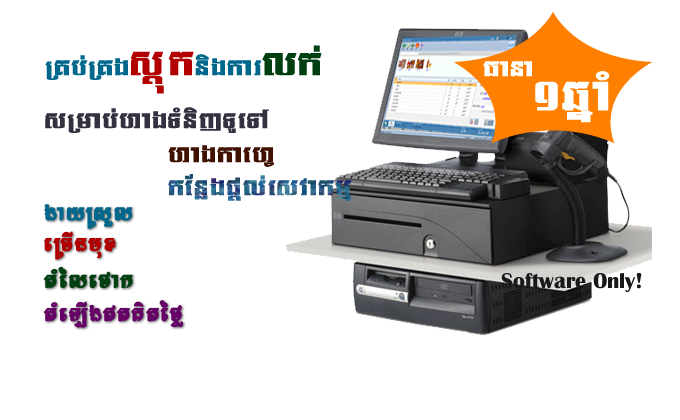 Our SBSS is in Khmer because it is built for Cambodian business. SBSS built by Khmer Developer so they understands your needs. We created the simple interface that supports touch devices such as POS Machine or Mini Computer. To become your partner, SBSS has created two administrator pages with fantastic button layout and 4 sales forms. 2 forms are used for quick sale and another 2 are used for touch device but all are working on one purpose. Of course, We can built any ways you want to adopt to your needs. If SBSS does not fullfill for your business needs, we can create more functions or even create a personalized new software for you!